2.2 How to find a prepaid taxi desk? For other places with the same name, see Kuta (disambiguation). 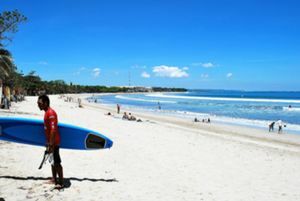 Kuta is the best known tourist area on the island of Bali in Indonesia and offers a decent surfing beach, despite being chronically overdeveloped. 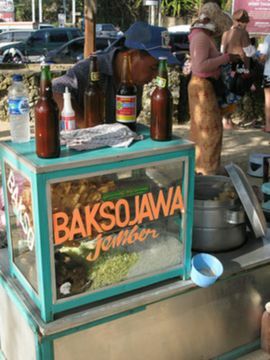 Visitors who feel overwhelmed by aggressive hawkers, American fast food and traffic jams should base themselves further along the coast towards nearby Seminyak. Kuta is still a fun destination for a big night of bar and club-hopping along several dozen low-end nightclubs and 50+ dive bars within walking distance of the main strip. With a long broad Indian Ocean beach-front, Kuta was originally discovered by tourists as a surfing paradise. Ngurah Rai International Airport, also known as Denpasar International Airport (DPS), is in fact directly south of Kuta, about 15 minutes away by taxi. More information about the airport is in the main Bali article. The prepaid fare from the airport to Kuta is Rp 50,000. If you don't have too much luggage, you can save some money by walking 200 metres out of the airport area, and take a metered taxi from a company that does not pay service fees to the airport authority and is therefore not allowed to enter the airport to pick up customers. For example, a metered taxi from Bali Taksi (+62 361 701111) will run to about Rp 20,000 for the same trip. Before putting yourself through all that though you might wish to ask yourself whether it is worth it to save just $3. You can also catch a bemo from outside the airport to Kuta for Rp 5,000-10,000. How to find a prepaid taxi desk? When you get out of departures you'll see stainless steel rails. Immediately you'll be propositioned by drivers demanding ridiculous money from you - ignore them, as they'll start negotiating at Rp 200000. Taxi booth is actually directly to the right of these steel handrails. Kuta is reached by the main Jalan Ngurah Rai bypass from points north (Denpasar, Sanur and Ubud), and south (Jimbaran, Nusa Dua and Uluwatu. If you are coming in from Seminyak be sure to take the Jalan Sunset bypass and not the congested beach route along Jalan Raya Seminyak and Jalan Legian. Kuta is connected by bus routes from all areas of Bali. There are various scheduled shuttle services including Perama . Perama shuttle buses to Kuta leave from Sanur, Ubud, Candidasa, Padang Bai and Lovina. There's also an air conditioned bus service called Trans Sarbagita that runs following route Term. Batu Bulan (Gianyar) - Tohpati (DPS) - Sanur (DPS) - Kuta Central Park (Badung) - Jimbaran (Badung) - Nusa Dua (Badung), occassionally the bus heading to and from Nusa Dua will stop at the airport. There is no marked Trans Sarbagita bus stop at the airport. Bus stops at the roundabout at the left side from the airport exit. The bus fare is 3.500 RP for adults and 2.500 for students. As elsewhere in Bali, bemos are rarer and far less important in Kuta than they used to be. This reflects both the increased number of Balinese who are wealthy enough to afford their own transport, and the huge upscaling of the very nature of tourism in Bali in the past 10 years. 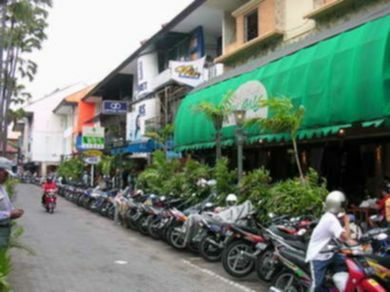 Bemo Corner, in the heart of Kuta at the junction of Jalan Legian and Jalan Raya Kuta, used to be an institution on the backpacker circuit. These days it is almost irrelevant, but the little blue buses are still there albeit in greatly reduced numbers, and they will still try to charge you five times the real rate. Kuta is served with some regularity from Denpasar's Tegal bemo terminal. Benoa Harbour — not to be confused with Tanjung Benoa — is around 20 min northeast of Kuta, and speedboats and cruises from the Gili Islands, Lombok and Nusa Lembongan arrive here. 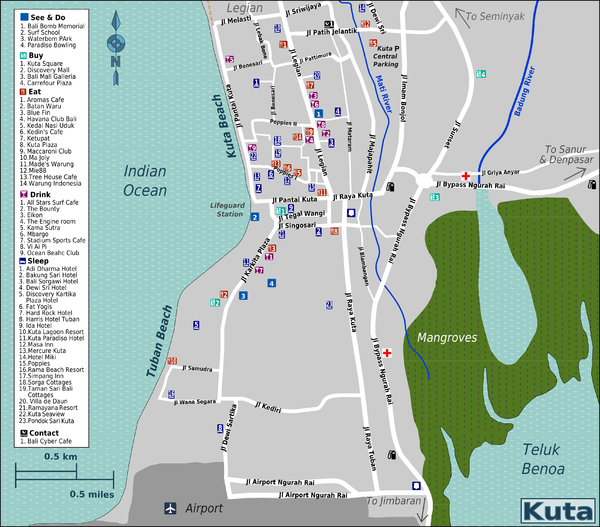 Most companies operating from Benoa offer free pick-up and drop-off in and around Kuta. Kuta stretches along the beach front all the way from the airport to Legian, and small lanes lead from the beaches into the densely populated accommodation zone. To avoid traffic-related frustrations, the best option is a combination of walking in small lanes and using metered taxis or a rented motorbike for longer excursions. Traffic jams are a constant hassle here and especially so when it is raining. It is often best to park your car before you reach downtown Kuta, and walk in. The area downtown is only about one and a half kilometres in length and half a kilometre wide but when stuck in traffic you might easily spend 30 minutes or more to travel these short distances. There are some designated parking areas in the middle of Kuta (usually Rp 5,000 for an unlimited stay) including a large one on Jalan Legian near the top of Poppies II. There are also public parking bays on Jalan Pantai Kuta right beside the beach, but these can get very busy. Finding a rental car company is easy in Kuta, especially in Poppies I and Poppies II. A small rental car starts from Rp140,000 with third party insurance. Add another Rp100,000 or so for a comprehensive cover. Check your rental contract for specifics before signing. The rental car can be driven to your accommodation for pick up. Metered taxis (taksi berargo) are ubiquitous on the streets of Kuta and are a relatively cheap and reliable way to get around, especially at night. Avoid any taxi where the driver refuses to put the meter on. This is increasingly rare but you will still find the odd taxi driver who is stuck in a 1990s time warp. The largest and most reliable taxi operators are Bluebird and Bali Taksi. Sometimes these taxis are not available at night in the immediate vicinity of discos and bars as other smaller companies may have exclusive arrangements with these businesses. However, the more reputable and reliable taxis can be found easily by walking a little up the street. It would be in your interests to seek out a Bluebird taxi in this situation. Be aware that, since Bluebird and Bali Taxi have the best reputations, a number of other drivers have started to try and make their taxis look very similar, using blue vehicles with names like Taxi Bali, or a logo that's similar to the Bluebird. Look very carefully, sometimes at first glance the imitators can be quite convincing. If you wish to use a taxi ensure the destination is clear with the driver before you enter the taxi and that the driver will be using the meter. If the driver does not agree to use the meter seek an alternative taxi. Having entered the taxi ensure the driver understands the destination requirement and turns on the meter (argo). At the end of the journey pay the amount showing on the meter. Do not accept any requests from the driver for extra payment or surcharges of any kind other than the payment of tolls or parking fees which are the responsibility of the passenger, not the driver. The driver may not provide change if you only have large notes, ensure you obtain smaller notes prior to travel or stop on-route, otherwise you will most likely have to round-up the payment and not receive any change. Those with a sense of adventure should try hopping on the back of a local scooter. They are always looking for a passenger, making negotiation easier and more successful. This type of informal transport is called an ojek and is fast and cheap. You can choose to rent a scooter for your stay. There are literally thousands of scooters available for rent: these should cost no more than Rp 30,000 - 40,000 per day rental, and between Rp 20,000 - 25,000 per day for rental of a week or more. Insist on a helmet for the motorcycle, for both your own safety and because wearing a helmet is a legal requirement in Indonesia; you will be stopped by the police and fined for riding without a helmet. It should be understood that the streets can be chaotic and dangerous for inexperienced riders so consider carefully before renting a motorcycle. If you intend to surf, there are plenty of specially modified motorbikes with surfboard hangers. In March 2012 in several Motorbike Rental Shops for 1 Day 50000 and for 1 Week 35000 per Day after bargaining. Be aware that the police is doing a very good job to have the law respected by foreigners. They will catch you for any infraction (stoping 2 meters after a line at a traffic light, not wearing helmet ..) they will also do random check for your international driving licence that must have motorbike stamped even if you can drive a 125cc scooter in your country with your car licence. They will typically start with 250k fine, which can be easily negotiated down to 50k. If you believe that you are in your right and want to go to court it is possible but you have to balance the fact that it will take a couple of weeks before the audiance, you will have to hire a lawyer or at least a translator and pay the rent for the bike (the rental company cannot rent a bike without documents). Most travel insurance won't cover motorbike accident if you just have a car driving licence in case of accident you will be responsible for all medical expanses or repatriation cost. 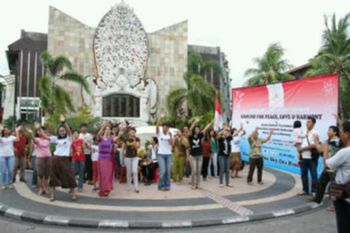 Bali Bomb Memorial. This is a memorial to the 202 people murdered by Islamic Radicals on 12th October 2002, and is on Jl Legian opposite the corner of Poppies II. This is the former site of the old Paddy's Bar, and opposite the former site of the Sari Club, which is still an empty space, next to the Billabong shop. Every year on the anniversary date there is a ceremony mourning those killed or wounded by the bombs. Whilst viewing the memorial, please be calm and silent out of respect. The local Balinese will often be curious to learn if you knew or were related to any of the victims. Kuta is a main area for scuba divers to base themselves for diving courses and day trips around Bali. There are lots of world class dive sites within driving distance or a short boat ride from Kuta. Normally these trips start at 7am and get back around 3-6pm. Some of the more famous sites are the USAT Liberty WW2 shipwreck, the manta rays & mola mola (giant sunfish) of Nusa Penida and The Jetty or Blue Lagoon at Padang Bai. Kuta is more of a party and surf town than a place for yoga and meditation. No classes are available near the budget areas of the Poppies lanes, from there the nearest places are at about 45m walking distance towards Seminyak and you will need some form of transportation if you want to attend regular classes. Bali learn to surf  is Bali's first professional surf school and they have an office at the Hard Rock Hotel, as well as a beach presence. Offers equipment in good condition and premises for a surfing introduction in calm water at the swimming-pool of the Hard Rock Hotel. An introductory lesson costs US$45, lasts 2.5 hours and students are offered hotel transfers and fresh water. A 3-day course costs US$120, and five day courses include a "surfari" to other surfing spots for US$200. Some of the surf dudes in the shops also offer private lessons. They are considerably cheaper than the surf schools but just as good. Many of the dudes have been working for the schools or do it on the side. You cant find them on the web so you should look around. One good one is the "Sion Surf Shop" on Poppies I, around 400 m from the beach. There are several surf shops on Poppies II which all seem to be much of a muchness. Friendly local surfer dudes will happily chat wth you about the waves, offer to fix a ding, rent you a board and sell you just about anything surf-related. Be careful when you rent on a beach, some boards are in such a poor condition that you are very lucky if you don't break it. And that is what some guys who operate the rental business are looking for. If you break it, then they may demand that you pay for it. So choose only the boards that appear to be in good condition, otherwise you may get ripped off. It is also possible to rent equipment from locals on the beach for between Rp 20,000-80,000 per half day, however prices asked are often closer to Rp 40,000-100,000 for one hour. If you rent from the same guys for a few consecutive days you will almost certainly get a better price. The equipment quality is lower than of the formal outlets. The surfers on the beach can also give you some basic lessons, and look after your stuff while you are in the water. If this is your first experience of surfing it is safer to use a surf school or private lessons before heading out on your own. If you want to rent for a few days, rather use rentasurfboard.com, . Their price is Rp 100,000/day, the boards are usually in very good condition and the local guy who handles the business is really a good guy. There are Spas by the dozen, and as Kuta is the most competitive place in Bali, prices are the lowest (as is the quality of experience). Shop around and ask for package discounts. Take a look at the place first and do not allow yourself be talked into something by touts. 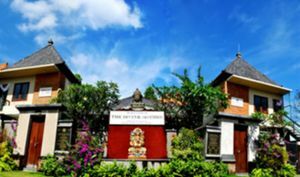 A well known spa is Villa de Daun on Jalan Legian. Many hotels have their own in-house spas or partner with a local operator. Reborn and Cozy are two excellent spas on the outskirts of Kuta, on Sunset Road just before the roundabout. The price is around rp120k for 2-hours, but have "happy hour" specials. Beware of the women offering massages on the beach. They are seasoned at ripping off tourists: be sure you have agreed to a price and a duration, or you'll find yourself with a 10 minute massage. Be very aware of any extras offered to you as these will be at a much higher rate. People have been lured in for a cheap massage for Rp 50,000 only to be hit with an extra Rp 200,000 when they're done. The girl may suggest doing your nails which takes all of an extra 10 minutes but will charge Rp 100,000 for fingers and another Rp 100,000 for toes. New spa and salon was open recently on Jalan Kediri in front of Aston Tuban hotel in Kuta. Gay friendly place Coco Garden Spa. Good choice of treatments and booking for in call and out call available. Enjoy the sunset. In the evenings plenty of people head down to the beach or seaside cafes to watch the wonderful sunset. Be in place by about 5:30PM, for a sunset between 6:15 and 6:45. The area in front of McDonalds and the Hard Rock Cafe can be a bit hectic with touts selling spearguns, henna tattoos and massages. Going north, the hassle drops exponentially, with the Legian/Padma Beach area being a wonderfully relaxing place to watch sunset. Yoga is very popular and courses are always on offer. Some hotels offer courses to learn Bahasa Indonesia. There are lots of popular surfwear/sportswear stores including Volcom, Rip Curl, Rusty, Surfer Girl Billabong and Quiksilver. These well known brands can be purchased in Kuta at prices 30% to 50% lower than you will pay at home. Your best bet is to wander the length of Jalan Legian between bemo corner and Jalan Melsati where you will find an almost unbelievable number of outlets. Kuta Square is a popular shopping area at the north end of Jl Kartika Plaza. There are a host of small shops on both sides of the street, and a big Matahari department store, with a cheap and utterly wacky collection of T-shirts on the 3rd floor. Be aware that if you buy things from hawkers on the beach, you will attract dozens more and they will do their best to make you feel guilty for not buying from them. Be prepared for offers at "good luck prices" or "morning/sunset prices". The trick is to not look them in the eye and respond to their offers with a firm "no thank you", but to always stay polite! Balinesia Tattoo  on Poppies Lane 2. You’ll find plenty of local free parking. The studio has a relaxed atmosphere with staff both friendly and helpful. Experienced artists. Large, western-style shopping malls are hardly a typical Bali shopping experience, but the best ones on the island are in the Kuta area. Bali Mall Galleria is on Jl Bypass Ngurah Rai right beside the huge Simpang Siur roundabout. Galleria is home to number of well known brand stores, a food court, Planet Hollywood and the best cinema in Bali (tel:+62 361 767021). There is a large duty free shopping centre  here which is aimed primarily at Japanese, Korean and Taiwanese tourists. You buy your luxury items tax free which are collected upon departure at the airport. Carrefour Plaza is on Jl Sunset, just north west of the Simpang Siur roundabout. As well as being anchored by an enormous Carrefour supermarket on the top floor, this is home to an excellent Periplus bookshop, numerous small designer stores and the best authorised Apple Mac retailer in Bali. Discovery Shopping Mall (Centro) is located across from Waterbom Park on Jl Kartika Plaza in Tuban. A big western-style mall with plenty of international brand stores on the ground and sub-ground levels, including Guess, Marks and Spencers, Sogo and Top Shop. The second level is occupied fully by the Centro department store, and there are many cafes and a large electronics retailer on the 3rd level. The waterfront cafes on the ground level have excellent ocean views. BeachWalk Mall (Kuta Beach) is located on Kuta Beach, right off Poppies 2. This new mall is very nice. It is high tech, and There is a big movie theatre, tons of shops, tons of places to eat, it has many famous restaurants, brands, even a few night clubs. Try Johnny Rockets, great burgers and shakes. If you are in Kuta, you must check out this indoor/outdoor mall. Hardy's Shopping Center (Jl Raya Kuta) is located 10 minute walk from the top of Poppies 1, Jl Legian side, walking south east. Hardys Supermarket very cheap. Good for buying toiletries, power adapters (from 6,500Rp) and bits and pieces. Supernova is gone. Wina Optics moved to Jl Raya Kuta 133 and is a very good and cheap optician. Gelael Dewata Supermarket (Jl Raya Kuta 105) is located 15 minute walk from the top of Poppies 1, Jl Legian side. Gelael Supermarket (8 am to 10 pm, daily, Tel: +62 361 751082) Good for cheap food, toiletries, power adapters and some books. Also located here are Dominoes and Kentucky Fried Chicken (KFC). This building is near Nav (a karaoke club) and Toko Central. It is across from Hotel Santika and the Chinese restaurants: Feyloom and Golden Palace. Bakso ("BAH-soh", meatball) soup is cheap and tasty any time of the day. Vendors wander the streets with their steaming wooden food carts and are easily located by the 'tink-tink-tink' sound of a spoon hitting a soup bowl. The soup is a smallish bowl of MSG-laden meaty broth with some thick yellow egg noodle, meatballs and the optional extras of fried wanton, fried tofu, hard-boiled egg and some vegetables. Add some mild chili sauce and sweet soy for a bit more flavor. You can find any manner of international and local food here. Restaurants are usually either very cheap or in the mid-range. Exclusive restaurants are rare but there are some gems here. For true luxury dining head 15 minutes up the road to Seminyak. Beach-stall food is delicious, filling and very cheap. These are dotted along Kuta and Legian beach beneath the trees or road-side awnings. Kuta is the low end party centre of Bali. It has recovered well from the bomb blasts in 2002 & 2005 and tourists still flock to the bars where alcohol is served freely and excessively. Many of the bars here have a house cocktail with a local Arak (rice spirit) base. These go by charming names like Jam Jar and Fish Bowl, pack a huge punch and make customers very ill! The Skygarden Complex is an large nightlife building with many dodgy clubs on the bottoms but has fun and popular foreigners nightclub and patio on the top floor. The often have free liquor giveaway from 9-11pm with free finger food, these are legitimate (real vodka not arak) and act to get people in the club so they can buy overpriced drinks after the promo ends. Along the waterfront on Jalan Pantai Kuta there are some slightly more sophisticated bar and lounge options. Most are lounges that offer food and entertainment afterwards. Definitely an option to explore and not so overrun by the Australian party groups. Kuta has a huge range of accommodation mostly in the budget and mid-range markets. 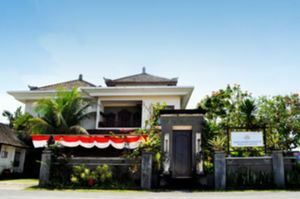 Private villas are few and far between as Kuta just lacks the space for expansive private properties. Prices are often negotiable especially outside of the peak seasons (July/August, Christmas, New Year and other obvious holidays). During peak seasons, always book ahead. There are a lot of cheap guest houses in the Rp 70,000-250,000 range on Poppies II, but you can often find nicer places on the small lanes between Poppies I and II. Visitors should be aware that a lot of the budget accommodation in Kuta is very tired. Always see the room first & haggle. It is becoming difficult to find budget accommodation if you arrive late in the day. Budget places (under USD10) may not take reservations, so trying to arrive around noon or 1pm as people check-out is a good strategy to try and find cheap accommodation. The safety advice given here applies more in Kuta than anywhere else in Bali. Take heed, have fun, but be sensible. Swimming safety is extremely important in Kuta. It is prohibited to swim near the special flags, that are placed where currents are especially strong. Always swim between the red and yellow flags, where the lifeguards have deemed it safest. Do not swim out too far as the waves and currents here are stronger than you might expect and change very rapidly. The sea water in Kuta can be filthy and you should be aware of this potential problem and try not to swim in the obviously polluted areas. Watch your belongings at the beach, better yet do not bring your valuables to the beach if you intend to swim or surf. Touts and scammers will constantly look for their chance. Be wary of deals. If its sounds too good to be true then it probably is. When walking alone (especially down Jl Pantai Kuta and Jl Legian) you will be hassled by touts offering transport on motorbikes. Generally this is harmless and can be used as a means of getting around, although the shear volume of touts offering transport can be an annoyance. Remember to stay calm and don't be pressured into buying anything you don't want. At night, drunk driving & big potholes in the streets are a problem, so be very aware of road safety after dark. Drugs should be avoided in Kuta (and all of Indonesia). Punishments for possession are harsh and there have been a number of arrests of tourists over the years. Beware of unsavoury touts offering drugs (often after initially offering transport). These "dealers" are often working with the police in order to get small payouts for arrests. Say "no" and walk away. Pickpockets have been known to be a problem recently outside bars, specifically on Jalan Legian (Sky Garden, et al). One common method used against drunk tourists leaving bars and clubs is for a large group of boys and teenagers to block the sidewalk. As the target attempts to squeeze through, the thieves attempt to reach into their pockets and/or bags and take whatever they can get. Be very aware of this. Foreign Currency Scams are fairly common, especially down the Poppy roads. Make sure you count out the rupiah yourself before you leave the shop (even if they count it out in front of you) and you also calculate how much you are owed yourself. Some of the shop owners will make you count out the rupiah, and then with a sleight of hand will remove one of the large piles of cash. Double check you have the right amount of money as you leave the shop. Circle K money scam: Especially on Poppies 1 (Kuta). Cashiers are known to quickly change bank notes, like 100.000 IDR for 10.000 IDR and then say that you didn't give enough money! Stand your ground firmly and calmly. They are also known to charge a couple of items more so try to keep track of the amount you need to pay or ask for receipt (if they say there's no ink, buy somewhere else). Of course, this scam can happen in any other mini market. Free Wi-Fi for customers has become very widespread in cafes, restaurants, hotels in Kuta - look for the signs. You can easily buy a prepaid mobile SIM card at a local sundry shop for about Rp 25,000, which will come in handy when making hotel reservations or booking tours. They are also available at Circle-K and other convenience chains, but will cost more for the same deal. Get the seller to activate the SIM card for you unless you understand instructions in Bahasa Indonesia fairly well. There should be no need to top up the card, as text messaging and short local calls will cost you next to nothing. If required, top up plans are competitive and sold at the same type of outlets. The same places sell prepaid data packages if you want Internet on your phone, tablet or laptop, when you are not near a free Wi-Fi hotspot. The speed is generally good around the larger towns and it is fairly easy to set up. There is a post office in a small lane off Poppies I which is also home to several 'wartels' (phone shops) which provide public IDD and fax facilities. Kuta is a major transport hub and is well connected to the rest of island via a bemo and shuttle bus network. Check the myriad of advertising boards on Poppies I, Poppies II and Jalan Legian for details. Legian and Seminyak are both within walking distance from Kuta. A car journey to the cultural heart of Bali in Ubud will take about 45 min. If you want to explore other parts of Bali, it's cheaper to move for few days to Ubud and rent a motorbike, driver or buy cheaper trips from there than you can find in Kuta. Perama offers cheap buses to Ubud few times a day. The Gili Islands can be reached in two and a half hours. 1 hr by car then 1.5 hr by fast boat from Padang Bai. Tanah Lot can be reached in 45 minutes by taxi for as low as Rp 100,000 if you're good at haggling. Be mindful however, once at Tanah Lot there are few options of transportation to anywhere else. You may have to pay full price for a taxi or motorbike to your next destination.